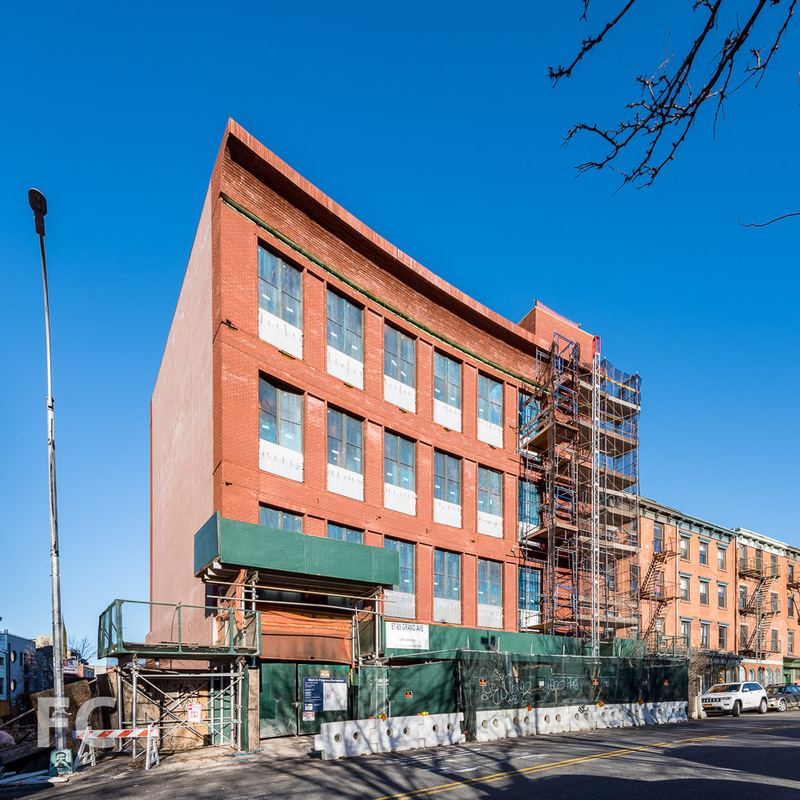 Façade installation is wrapping up at 89 Grand Street, the five-story mixed use building in the Williamsburg neighborhood of Brooklyn. 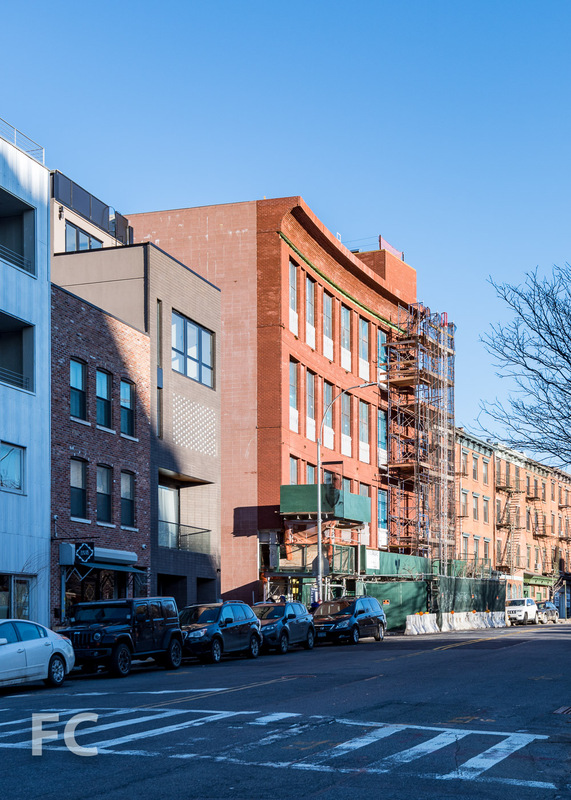 Designed by Morris Adjmi Architects, the Grand Street façade features a slight curve clad with red brick and industrial style windows. 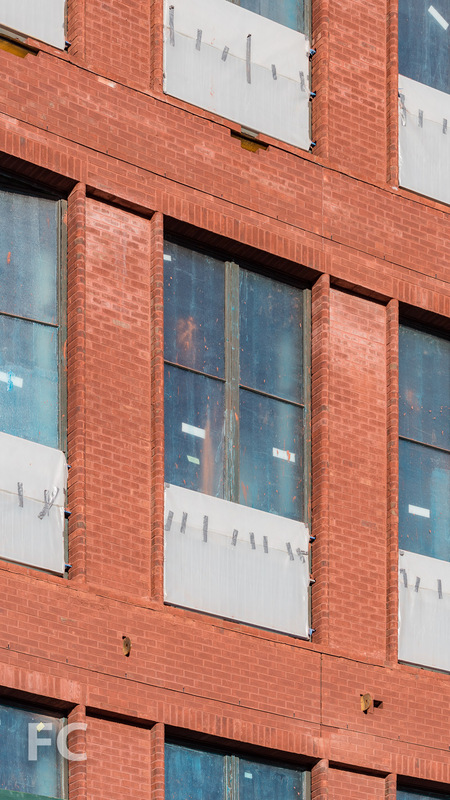 Ornate grillwork in front of the windows has yet to be revealed. The building will offer only three residential units with two units on the second floor and a triplex on floors three to five. Retail will be offered on the ground floor, along with community facility space and parking. Architect: Morris Adjmi Architects; Program: Residential, Retail, Community Space; Location: Williamsburg, Brooklyn, NY; Completion: 2018.